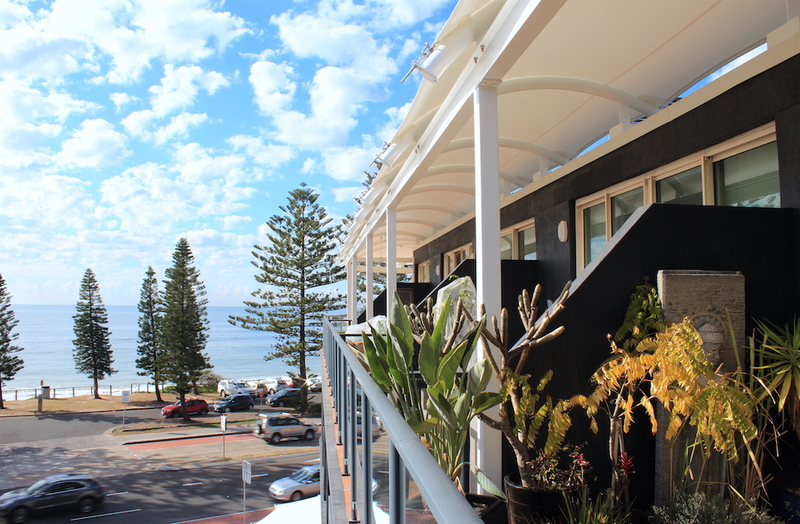 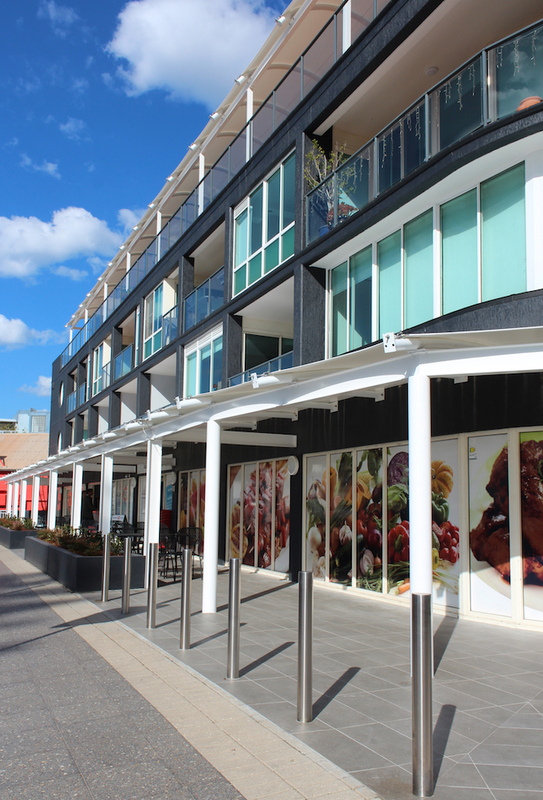 A defining building in Collaroy, this mixed use complex sits right on the main street, a stone’s throw from beautiful Collaroy Beach. 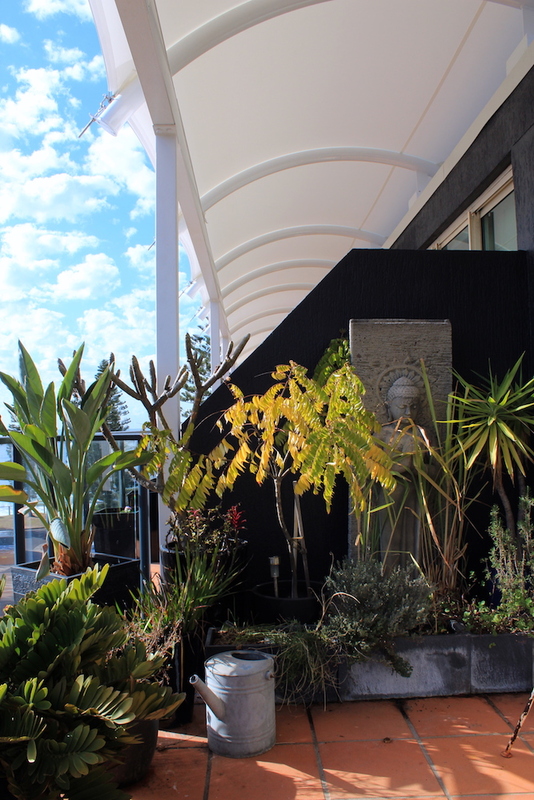 After years of weathering, it was time for a rejuvenation and renovation. 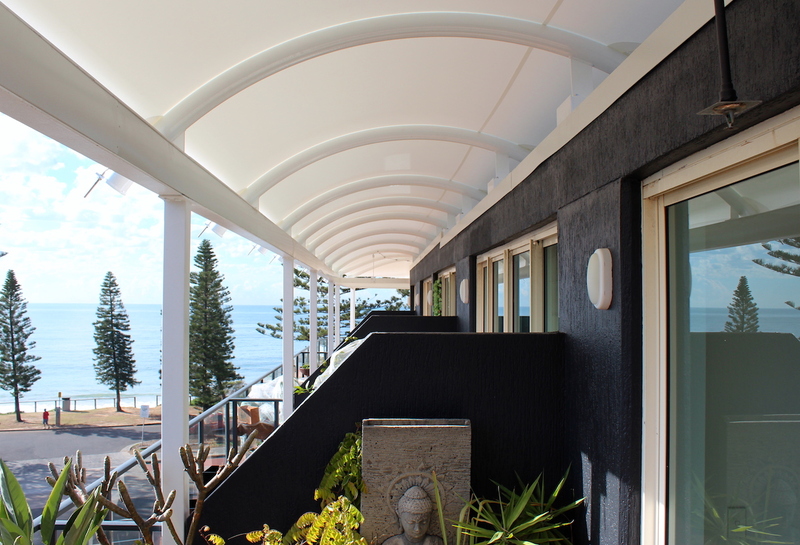 The buildings exterior was revamped with a modern scheme of white sails, chrome, charcoal paint stone-like tiles. 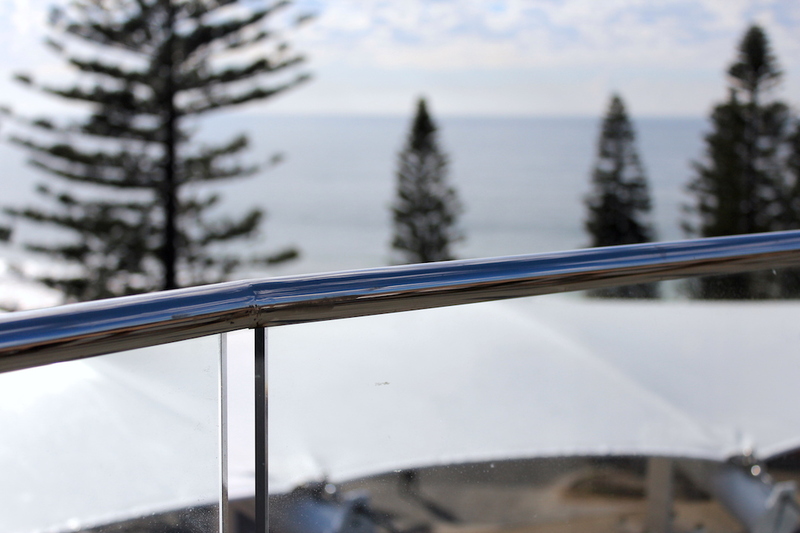 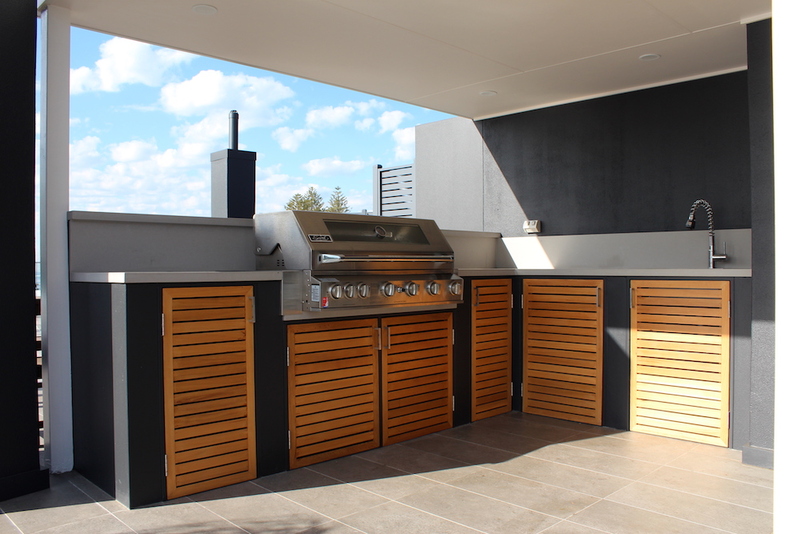 The rooftop entertainment area now hosts a a modern kitchen with BBQ, new tiles, glass balustrades with stainless steel fittings – perfect to complement the stunning view. 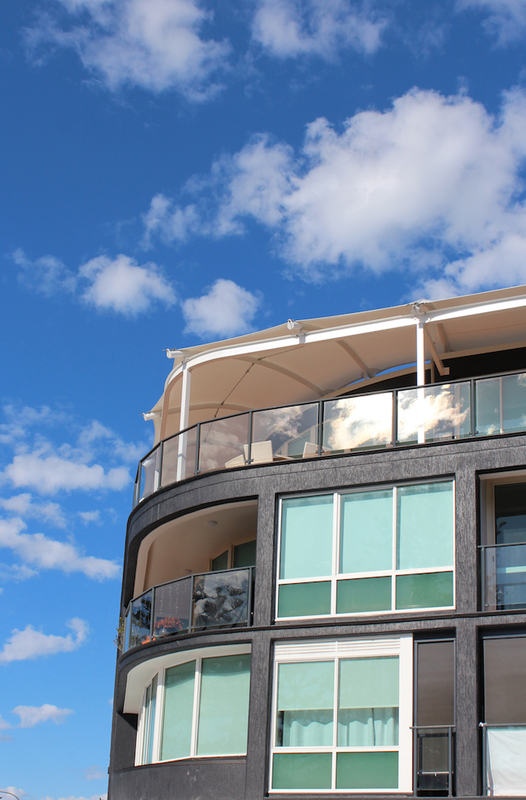 Each resident now relaxes underneath white marine grade shade sails on curved, engineered steel. 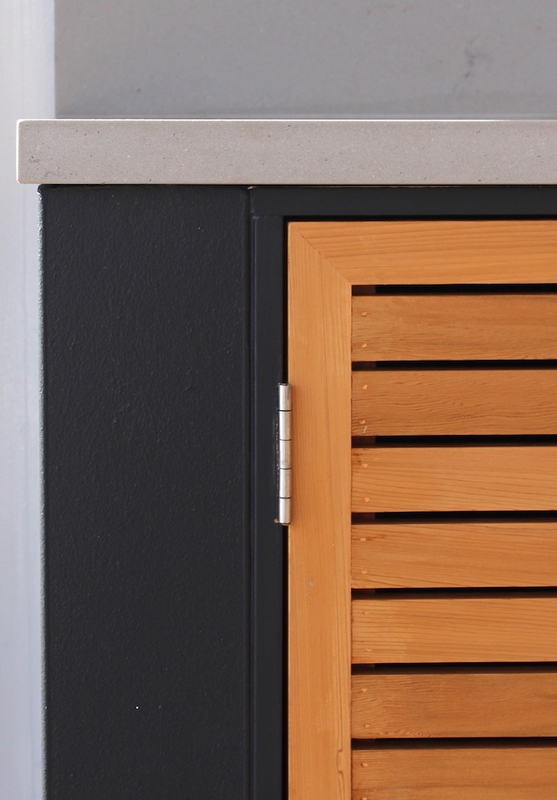 Rejuvenated exterior from faded, worn render to a sharp charcoal and white colour scheme. 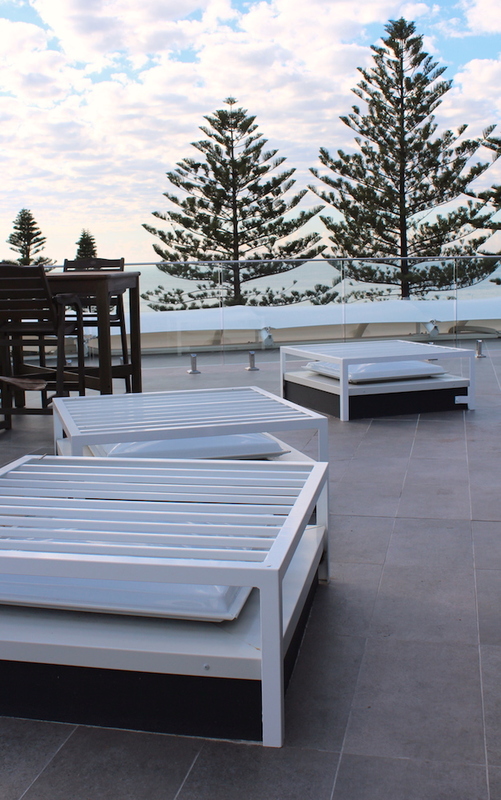 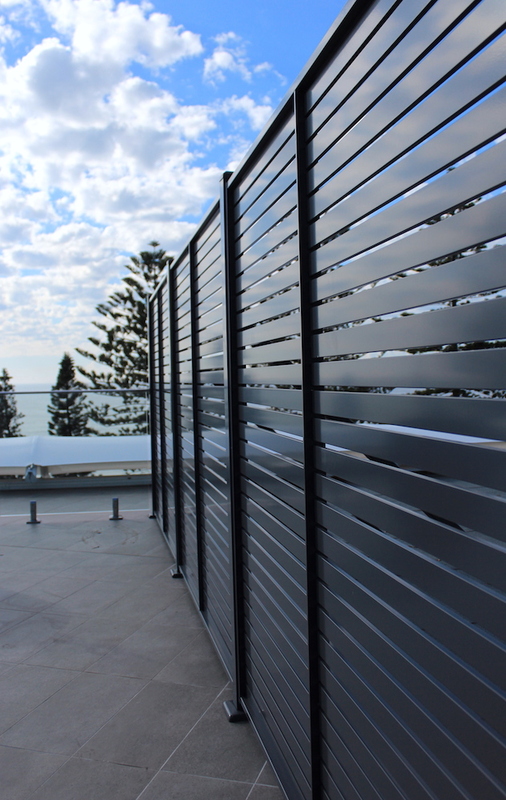 The rooftop balcony and entertainment area underwent a complete overhaul. 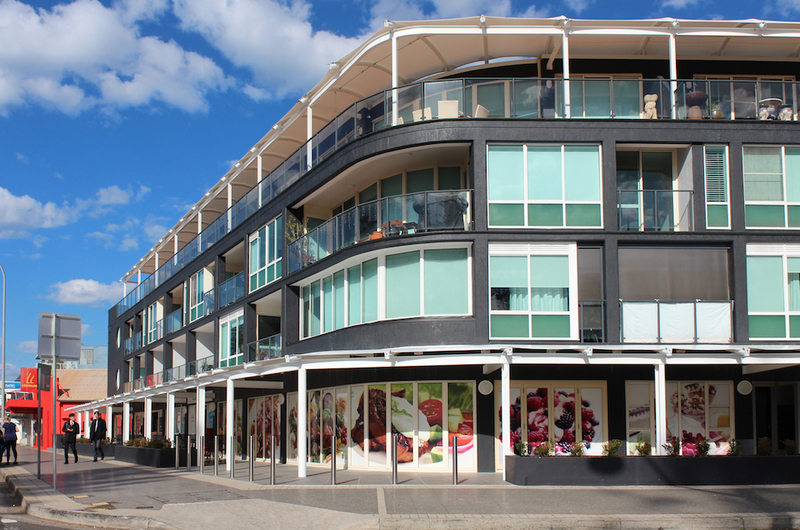 The mixed use building houses shopping on ground floor and apartments above.